Summer Plans. Your students need to be busy this summerThere are many summer programs that recruit at-risk students. Most deadlines have passed but there are still many accepting applications. Please start collecting programs for next year. Some programs are due the end of April. If not, encourage them to volunteer, get an internship, or do something else significant this summer. Colleges want under-represented students to be active during their summers. There is no one comprehensive list. But here is a site that lists some programs. Please encourage your students to take the SAT twice, the ACT twice, and SAT Subject Tests twice. Low-income students receive fee waivers to do so. Your counselor or administrator needs to order fee waivers. Make sure your counselor calls early to arrange for these waivers as they do not arrive quickly. Privileged kids take the tests several times. We recommend students take the ACT in April or June and then September or October. We recommend students take the SAT in May or June and August, October or December. We recommend students take SAT Subject Tests in May or June and November as foreign languages offer their listening tests only in November. College Fairs and Visits. Try to get a bus to take your kids to the free NACAC College Fairs. Thursday, April 26 is the date for the Greater Los Angeles fair. 9am-12 noon and 6pm -9 p.m.
Have kids register so they can bring the bar code so colleges can immediately place them on their mailing lists. Take them to see colleges before they close in May or June. Contact the admissions office and arrange a special tour. Colleges used to provide busses. They rarely do anymore. Seniors. No…we have not forgotten them. We are providing our tips for seniors who were admitted to four year universities, especially Cal States and UCs about what to do. 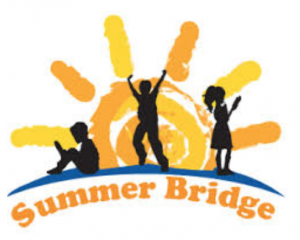 We are also providing a list of the UCS and their summer bridge programs. Merced. http://summerbridge.ucmerced.edu/. Deadline to apply: Rolling. Prefers by mid-April. Santa Barbara. http://eop.sa.ucsb.edu/services/summer-programs/step. Deadline to apply: May 1-June 15. Priority deadline is June 1. Irvine. http://sss.uci.edu/summer-bridge/. Deadline to apply: April 21-May 25. For your top seniors, please help them find a summer bridge programs at their colleges. Yale, Pomona, Dartmouth, Cornell are some colleges that offer summer bridge programs. Please, please encourage them to fight financial packages that are top heavy in loans. Your students can still apply for scholarships. Help them find ones from their state representatives, city council people, school districts, and more.